At BasisCode, our sole priority is to provide outstanding service to our clients. To help accomplish this, we’ve become partners with other companies to assist in all areas of client deliverables. Chiefofstaff.com is a hybrid service combining a cloud-based application with advisory support that better enables your organization to develop, manage and prioritize an aligned strategic plan. Like a good Chief of Staff, the service reduces complexity and improves productivity across all departments and subsidiaries. Global Relay is the expert in Compliance Messaging Solutions, including Compliance Archiving, Messaging, Mobile and Collaboration. Global Relay delivers its services to over 17,500 customers worldwide, including small to large broker-dealers, hedge funds, investment advisors and public companies, as well as 22 of the world’s top 25 banks and two public exchanges. 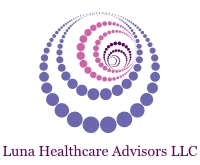 Luna Healthcare Advisors LLC focuses on healthcare provider integrity consulting. Our core services address healthcare documentation, coding and billing operations, operational efficiencies, diligence activities, and compliance effectiveness. Titan Regulation is a premier provider of compliance solutions for the financial services industry. Their mission is to inform, prepare and protect our clients in today’s challenging regulatory environment through leading edge research, proprietary processes, and relationship-based service. NestEgg is an online wealth management service that helps you save, invest and plan for the future using the same tools developed by Wall Street banks for their wealthiest clients. NestEgg’s mission is to bring professional financial planning to everyone regardless of financial status and level of sophistication.